For the ultimate in flexibility, IRA Advantage clients opt for a checkbook IRA. In this episode of our popular blogcast series, David Moore explains what a checkbook IRA is, and compares it to self-directed IRAs in general. 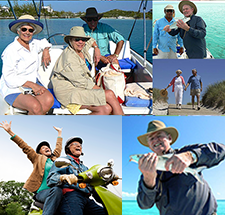 Patrick: Today we’re talking with David Moore, co-founder of IRA Advantage, a firm that specializes in truly self-directed retirement accounts. 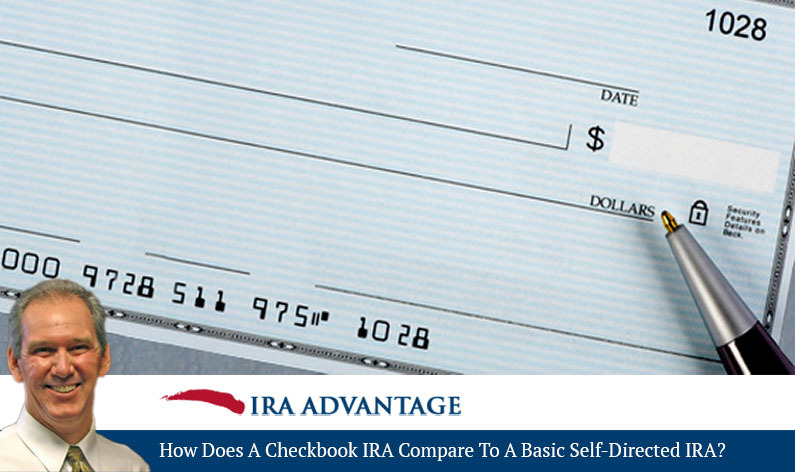 David, how does a checkbook IRA compare to a basic, self-directed IRA? David Moore: Well, with a basic, self-directed IRA, all we’re doing is establishing a new account with a custodian that allows the investments to be made that the taxpayer would like to make. A checkbook IRA, really, is no different in that we still have to create the custodial account. The only thing that changes is we insert a limited liability company between the custodian and the ultimate investment. So, with a checkbook IRA, what we’ve done is we create a new limited liability company. The member of that limited liability company is the trust company for benefit of a given IRA. The manager of that limited liability company is the IRA owner. So, as soon as we’ve gotten the new custodial account established, we get the articles of organization, everything that’s needed for the limited liability company, we get that information to our taxpayer. They go to the bank of their chance, open a checking account in the limited liability company’s name and EIN (federal tax ID number) and as soon as they’ve got the account established, they are actually manager of the limited liability company. They’re signer on that bank account. They’ll get us the account information, we direct the investment funding that bank account. Then for the tax payer to make an investment, instead of having to direct the custodian to make an investment in a property, let’s say, and having to get earnest money and so on and so forth, everything that is necessary to get a deal done, the taxpayer using a checkbook IRA has the ability to simply negotiate the purchase in the limited liability company’s name and EIN and when they’re ready to write an offer, they write the offer. They need earnest money, they write a check and when they close, they write a check. It’s a beautiful tool and it allows people to make the investment they want to make, when they want to make it. So, for time-sensitive investments or investments that require management, that’s what is going to be the tool of choice: a checkbook IRA. David, I know you said so, but does it mean I really just write a check? David Moore: Yes. Yes you do. You literally write a check. You’re going to have that bank account in the limited liability company’s name and you, as manager, have the ability to write a check to make that purchase. If you’ve got a tenant in there and they’ve got an issue with a plumbing break or something, they hire the plumber and you write a check with that limited liability company’s account to pay for that expense. So, any expense is paid by writing a check and any income from that project goes right back in the limited liability company’s bank account. It’s a beautiful tool. With so many investment products out there, you need good information to decide what’s best for your situation and investment goals. Regularly follow our blogcasts to keep up-to-date, and if you have any questions, give David or a member of his professional team a call at 503-619-0223!